We are all high risk merchants. And low risk merchants. And medium risk merchants, if such a distinction exists. And here is why we say that: We have plenty of partners with which we accept and refer businesses for payment solutions. Many of them are competing payment processors that only work with low risk, retail or point-of-sale businesses. Occasionally, they’ll be posed with a possibly lucrative merchant, usually considered high risk, for which they are unable to secure acquiring banking resources. The competing processor will contact Instabill to find a solution. More often than not, we have one. Hence, the great thing about placing high risk merchant accounts: We all compete against one another. We all want businesses to come to us for payment processing. When a processor has difficulty, however, competitors become partners. It’s a beautiful thing. And everybody wins. The Instabill Partner Program started, similarly, with one partnership – a partnership with a low risk payment processor who couldn’t find an acquiring bank to take on a merchant, so he approached us. We had a banking relationship that gave approvals for the industry in question. We agreed on a revenue split with the partner, and a light went on. We started contacting other competitors, agents and ISOs, letting them know if they had difficulty placing a merchant, Instabill had the resources and we would split the revenue. 60% revenue sharing on UP TO $1 million in cumulative monthly credit card processing volume. 70% revenue sharing on OVER $1 million in cumulative monthly credit card processing volume. Presently, we work reciprocally with hundreds of partners in placing high risk merchant accounts for e-commerce and point-of-sale merchants in more than 90 industries. Our partners aren’t just competitors; we have other merchants that will send us business along with ISOs and agents worldwide. Having Difficulty Placing a Merchant? Our merchant account managers answer the phone. 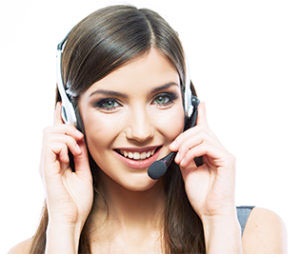 Contact us directly at 1-800-318-2713, or select the live chat option below.